We’ve been packing and unpacking so much lately that I feel we could be awarded some kind of medal by the ‘Efficient Packers ‘r’ Us Brigade’. After bidding farewell to the lovely Lyon, we’re on the train speeding through the picturesque countryside of France. We’re headed towards Paris and, though it’s sure to be just as wet and rainy as everywhere else on our trip I can’t help but feel super excited about what awaits. 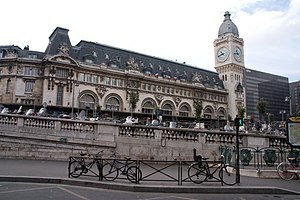 Our train arrives at the Gare de Lyon in the 12th arrondissement in Paris. It’s one of the bigger train stations we’ve been to in the last few days and even from the inside, the characteristic Parisian architecture is clearly visible. I’d booked tickets for us to visit the Musee du Louvre from South Africa and indicated that we’ll collect the tickets from the FNAC counter in the train station. Picking them up is easy and after tucking them away safely, we set off in search of our hotel. In our bid to stay within budget and have a hotel that’s conveniently close to the Paris Metro system, we seem to perhaps have overplayed our hand. Though the hotel’s site showed charming photos of a newly renovated older building, the reality is far from it and we arrive to one of the dodgiest hotels I have ever had to stay in. Oh. So. RIDICULOUSLY. 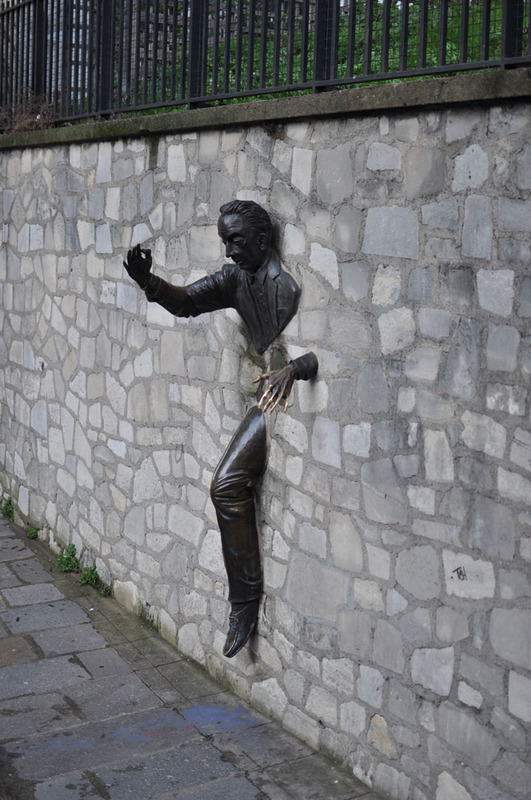 Dodgy. If they didn’t have my credit card details, I’d just have turned around and left. The up-side of this is the fact that this will force us to spend as much time away from the hotel, and thus on the streets of the city, as possible. 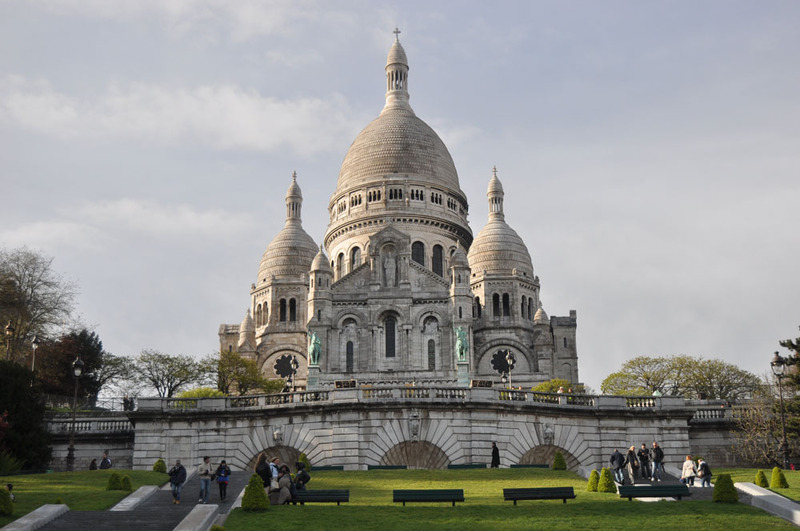 The Sacre Coeur! 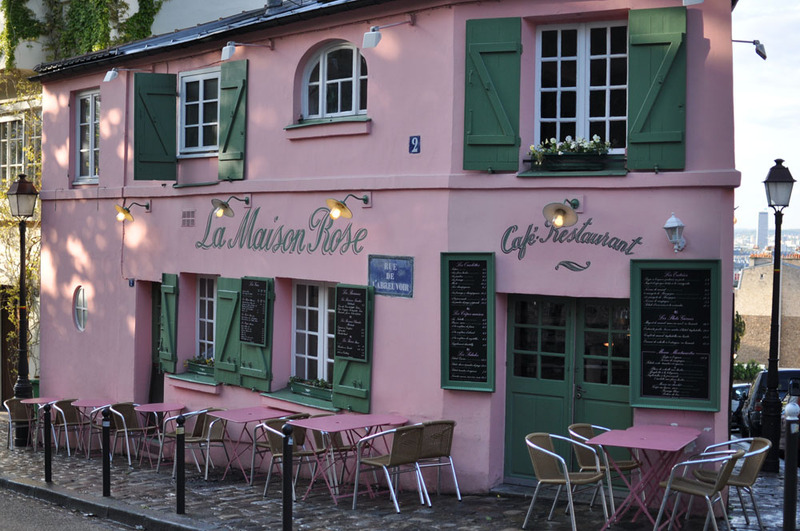 This seems like a great starting point for places to see in Paris. 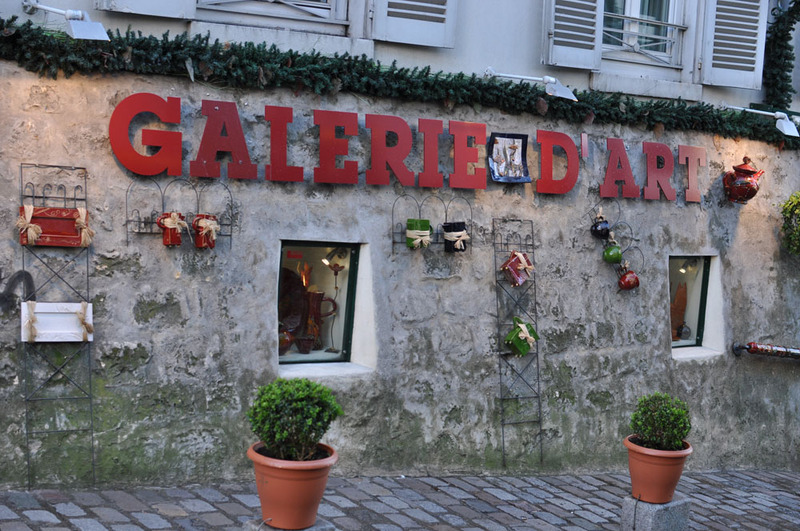 I also really want to spend some time in Montmartre in the early evening visiting shops and walking these tiny artistic streets. Though it looks like a complete shambles on first inspection, the Paris metro is incredibly convenient. We pop out right at the bottom of the hill, only to find it windy and rainy. Hoping it will pass, we stop to have some coffee and strategize a plan of action for the next few days. Our first attempt for the day to view the Sacre Coeur, Montmartre and the Moulin Rouge all fail miserably as the weather is terrible. The wind gusts raindrops into any small opening it finds from all directions and overall, the morning is a complete waste. In a last ditch attempt to see some of the city while keeping dry, we head to the Galeries Lafayette centre. It is an insanely large, multi-level department store with anything and everything under the sun. The food court is an amazing assault on the senses with flavoured candies, coloured sugars, exotic spices and a plethora of exquisitely prepared foods from across the globe on sale. One could spend a week here and not find everything it has to offer. 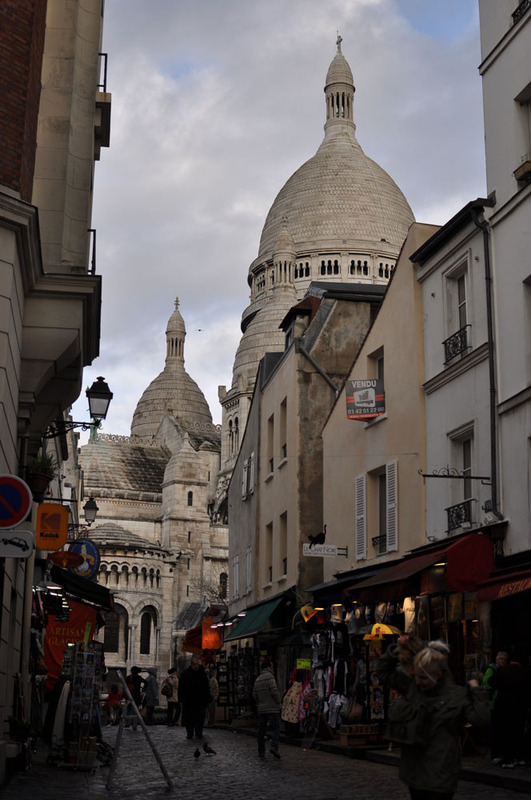 After getting something to eat it seems the torrential downpour has slightly abated and we head back to the Sacre Coeur. 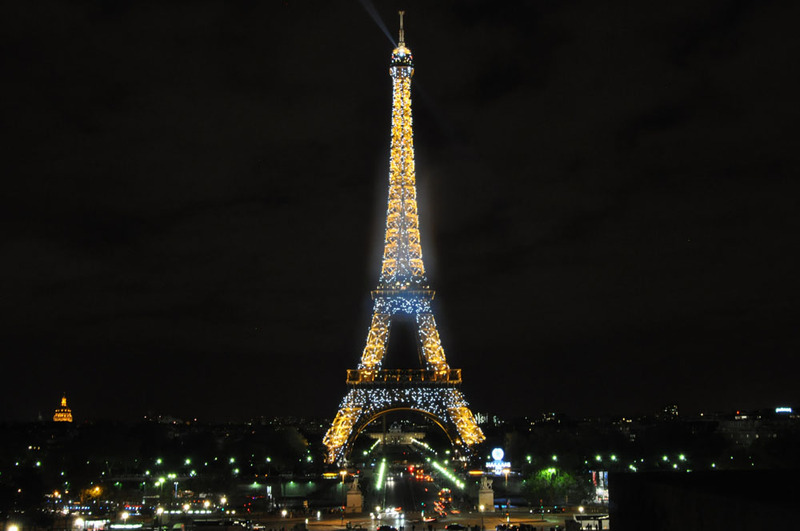 The view from the hilltop is amazing and a must-see for a visit to Paris. The basilica’s interior is astoundingly beautiful and well preserved, and the exterior offers many intricate details. 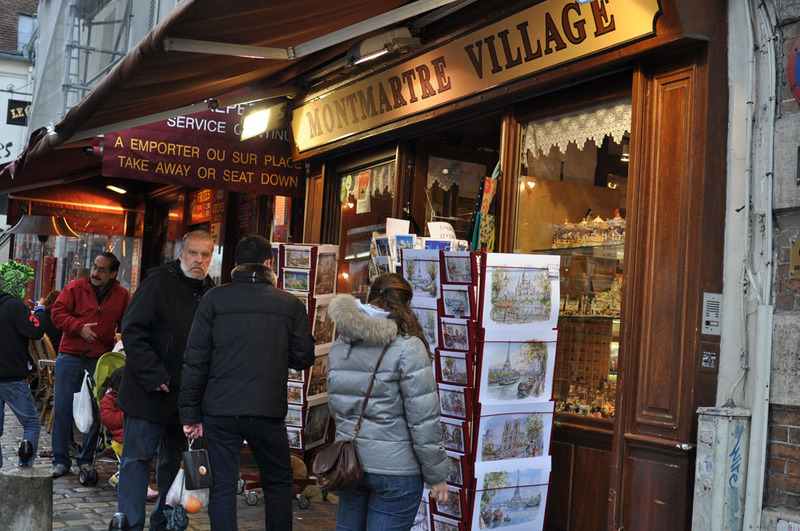 We stroll through Montmartre hand-in-hand, as if the inconvenience of the rain and dreadful events unfolding the morning are completely forgotten. In a little side-street, we find a pub with pints of beer for a decent price and decide to enjoy some drinks as a reward at the end of the day. 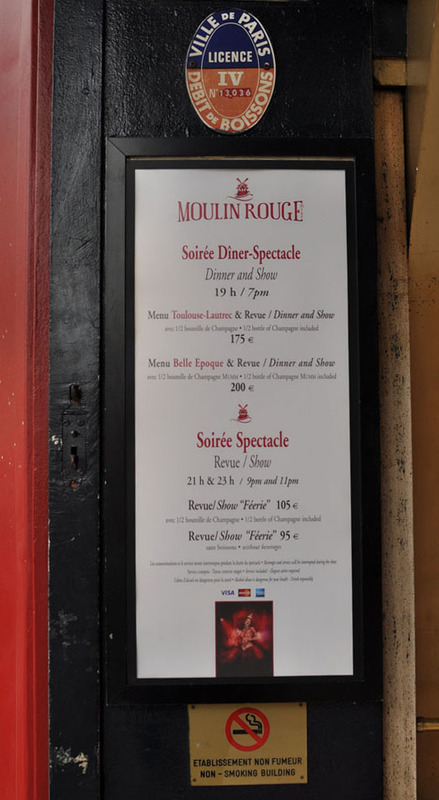 On the way to the metro station, we find a French bistro that looks promising, and earmark it as The Place to have our one eat-out in Paris tomorrow evening. 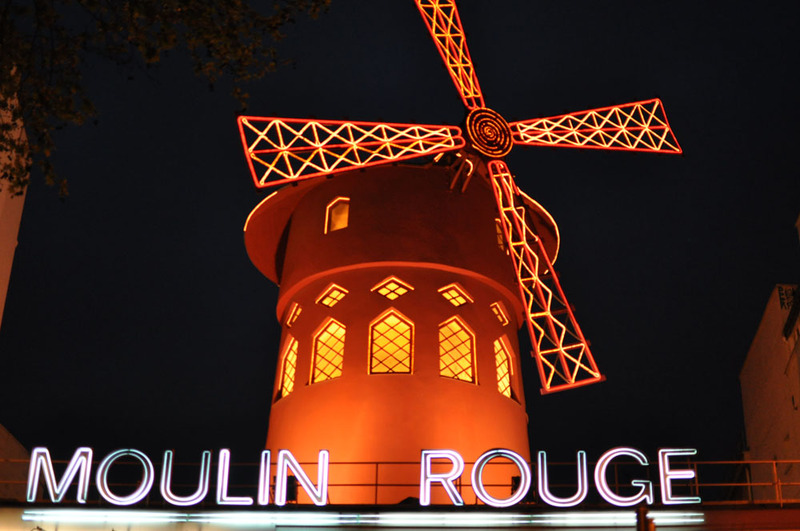 Enjoying the amazingly well-behaved weather and wanting to take advantage of it, we decide to visit the Moulin Rouge again and are rewarded with a beautiful light show, though the prices for getting in are laughable. Still not sated with our first night in Paris, we arrive at a beautiful view of the Eiffel tower at 21:50 just in time to enjoy the 22:00 show. We finally call it a day and head back to Dodge central for a night of rest, feeling well rewarded at the end of the night. Followed by day two in Paris.